We are so fortunate to live in a time where there are at least a handful of great cars to choose from, depending on your driving preference. While I may not be old enough to remember, I constantly hear my dad complain about the few horrible car choices in the ‘80s. Today you’ve got anything from less than 200 HP pocket rockets to 700+ HP monsters and everything in between. While horsepower numbers may not be the be-all-end-all for every enthusiast, finding a car fully loaded that’s quick and capable for more than just a point A to point B commuter is tough. 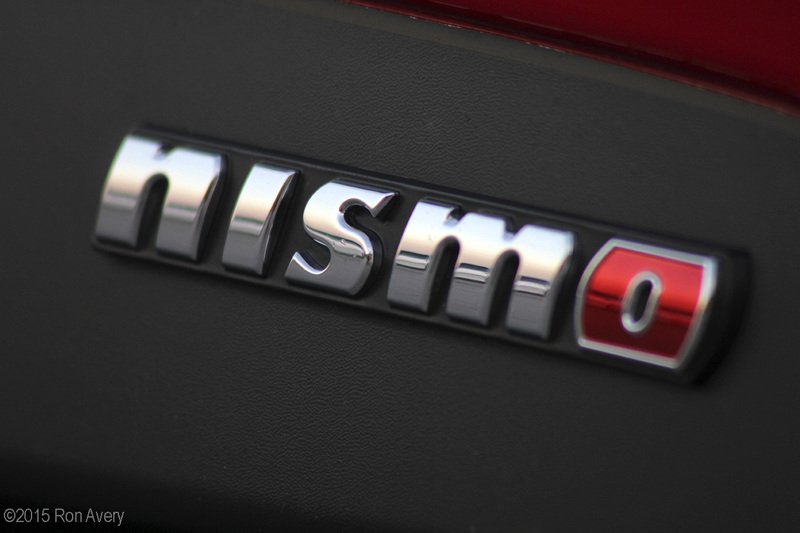 That’s where Nissan comes in with the very capable 2015 370Z NISMO Tech. This 370Z NISMO features a 3.7 L V6 engine with 350 HP @7,400 RPM and 276 lb-ft of torque at @5,200 RPM mated to a six-speed manual transmission with Synchrorev Match and 0-60 MPH in 4.9 seconds. If you must have only one car in the garage with a nice budget of around $50,000, plenty of horsepower, a six-speed manual, gorgeous interior and enough trunk space some track gear, you’d be hard pressed to pass up the 370Z NISMO Tech. Wind the car up over 5,200 RPM and it goes screaming down the road. It feels planted and the stiff yet compliant suspension provides a track car feel. 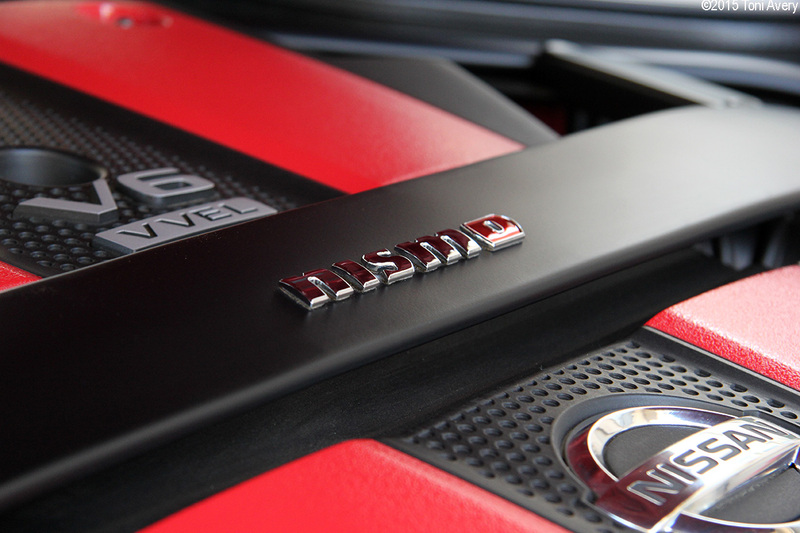 The engine, suspension, 3-point front strut tower brace, and performance dampers are NISMO’d, providing the driver with an unmistakable driving experience. While I’ve read that other’s feel the ride quality is rough, I found no issue with it. It’s not luxury car smooth, but it’s also not Lotus Elise rough. In fact, I felt more connected with the road, being able to feel it. The transmission and pedals did take some getting used to. The trans was a bit clunky at first go but it requires more of a push than a simple flick of the wrist. While I’m not used to springy and heavy pedals, there’s an art to it of giving just enough blip and not letting out the clutch too quickly. Once you’re smooth, it’s a very rewarding car to drive. And the Nissan Sport Brakes provide ample stopping power for the cars 3,346-pound curb weight. One of my favorite features was the Synchrorev Match system. This allows the driver to downshift while the car matches the revs perfectly for you. Even if you’re an experienced manual shifter, not every downshift will be perfect, but with Synchrorev Match they will be. It’s hard at first to not blip for the car, but after a while it’s satisfying to hear perfect blips with every downshift you make. The 370Z’s interior features manually adjustable Recaro seats with red Alcantara inserts and leather surround, leather and Alcantara wrapped steering wheel, leather and Alcantara accents throughout, push start, Nissan Hard Drive Navigation System, Bose Audio, Bluetooth and more. It’s hard to say the interior is the nicest part of the car because so many things tie for the top spot on my list. But the interior is one of the nicest I’ve seen for under $50K. I haven’t come across many cars with every surface covered in some of the nicest materials available in just the right color combination and with little to no plastic. Even with cars in this price range, most of the goodies are either optional or just lacking in fun colors. I was beyond impressed with the look and feel of the cockpit. Even the Alcantara is placed in the perfect position for better grip while canyon carving. My only gripe was with the seats side bolsters. While they do hold you in place, they tend to get in the way of shifting, resulting in a funny sort of winged bird look when changing gears. Beyond that, the seats are great, again with Alcantara in just the right place. Even the trunk is plenty big for a weekend track day or even a couple of days trip. The Bose stereo system offers a pure sound for your favorite tunes and the Nissan Hard Drive Navigation System is one of the best I’ve used. The graphics are spot on and navigating the various menus is a breeze. The exterior receives some NISMO upgrades including exhaust, 19” Ray’s Forged Alloy Wheels and an aerodynamic body design including front and rear fascia, body side sills and rear spoiler. Wrapped around the cars stellar interior is one of the best looking bodies on the road. Each curved and sharp edge works so perfectly together creating a seriously sporty look. It’s hard to tell the red accents apart from the Solid Red paint color, but it does melt onto the cars curves quite nicely. Nissan’s Z has enjoyed a rich and successful history starting with the beloved 1970 240Z moving on to the 260, 280 and so on. The Z car was brought to market as the first reliable, inexpensive sports car for the time. Killing the British competition, Nissan rode the Z wave until the mid ‘90s and came back with the 350Z and now the 370Z. 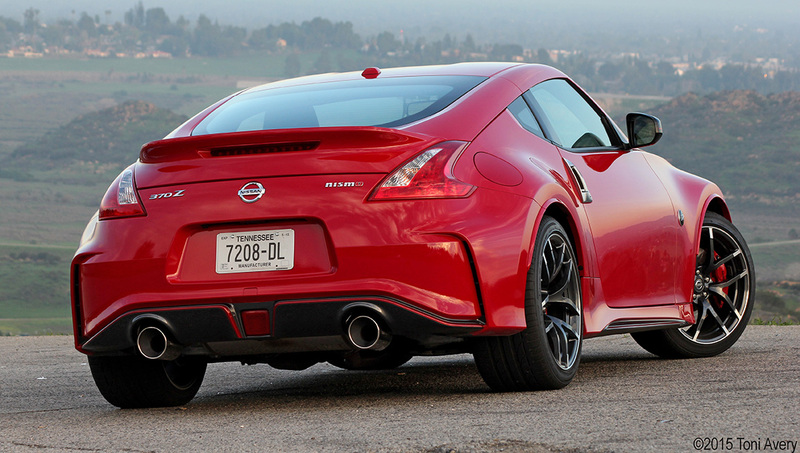 Nissan’s 2015 370Z NISMO Tech ranks high for me in style, standard equipment, performance and most bang for my buck. I challenge you to find something as good-looking, fully equipped and with stellar performance for well under $50,000. Looks like a very sweet ride, although I would want more than 5,200 RPM. Good article, nice photographs and good presentation on the youtube video. I liked the three gauges on the upper dash center, a nod, I assume, to the 1970 Datsun 240Z? Had one of those, another great car. Keep up the good work Toni. Thanks Paul! 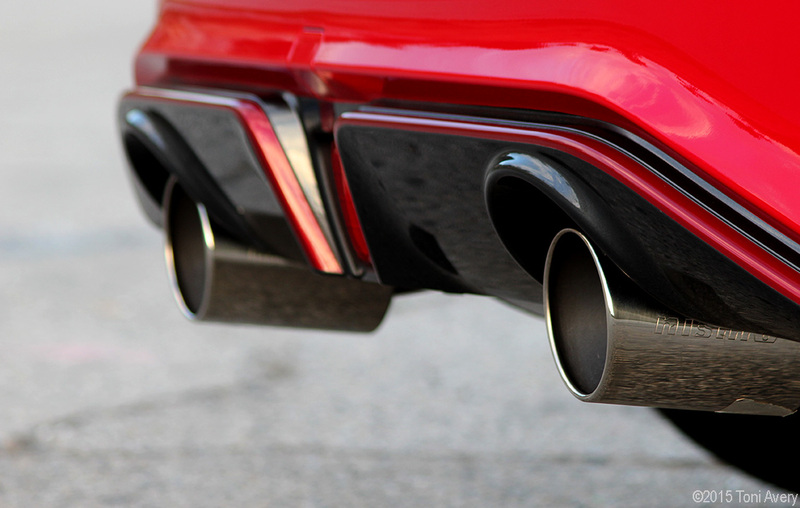 The car redlines at 7,500 RPM and torque comes in at 5,200 RPM. Glad you liked the article and thanks for reading! Loved the article! Keep them up! I love my Challenger, but I must admit that I have a soft spot in my heart for these Nissan’s. Hi….great review and thank you. Please disregard my youtube comment on the length of the video. I didn’t realize at first there was a link to this article.